VARM, the annual labor market fair at Chalmers in Gothenburg, provides students with the opportunity to get in touch with future employers, find summer jobs and create contacts that will facilitate future studies. 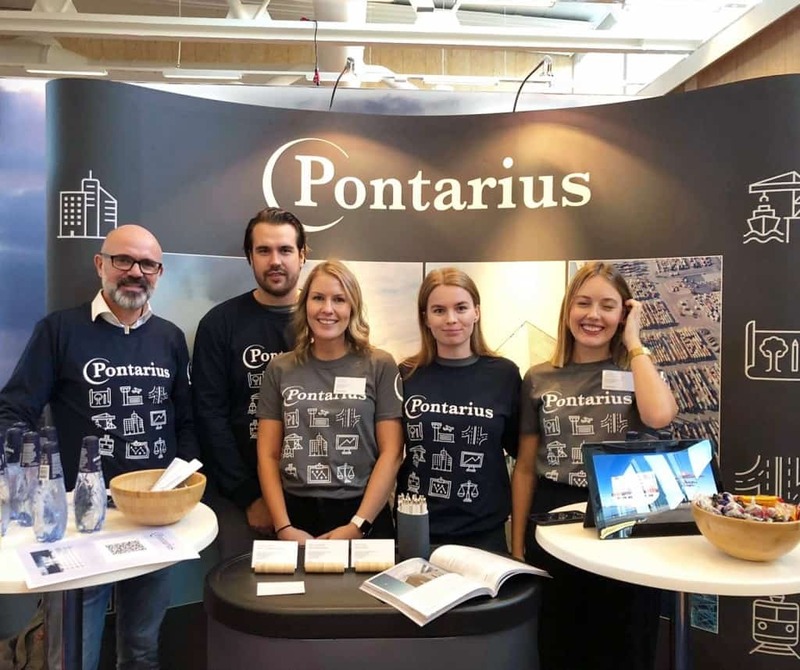 This year, Pontarius participated for the second year in a row, and once again it was incredibly fun to meet all of the enthusiastic students who want to work and are eager to learn more about Pontarius’ business! At Pontarius, we strongly believe in building the company from the inside and out, and thus maintaining the personal touch of everything we do. All marketing and recruitment is therefore managed internally, and we who represent Pontarius are always people who work for the company. During this year’s fair it became apparent that this is something that is appreciated by the students, who were grateful to be able to ask all kinds of questions to the colleagues present during the fair. Most questions where related to the business areas of Real Estate, Seaports and Aviation, but Road, Streets and Ground also seemed to be of great interest among the students. Our general impression was that the students, both those who had decided to visit us in beforehand as well as those who came by coincidence, became more and more interested in Pontarius the more we told. In addition, Pontarius seemed to have raised interest among many of the other companies as several people who were there to represent their own companies came to us and were curious about Pontarius business and what kind of work we do. Something that received great response was our so called “Junior Consultant Program”. The students seemed very tempted by the idea of being allowed to shape their own development according to their individual interests. In addition, many of the students stated that they would like to work with project management and were therefore very pleased to hear that a newly graduated consultant at Pontarius work together with our senior project managers in “real” projects from the very start of their career. Among the students who attended grade 1 and 2, there was a high demand for summer jobs, and many expressed a clear interest in the jobs that we have to offer next summer. One of the students’ more recurring questions concerned the diversity in the company when it comes to age, gender, ethnic background, etc. It was obvious that it is a question that many people hold close to their heart – and that many people have in mind when they enter the labor market. Representation is undoubtedly something vital, and a fair and inclusive recruitment of colleagues is something that the infrastructure industry is in great need to actively improve! In conclusion, we had a very nice, inspiring and rewarding day and we look forward to coming back next year!